I have been home for two days and reflecting on my trip. I had a blog all typed up, but it got deleted. Frustrated, I waited a day. Sorry for the delay. I have no chance of remembering it, so here I go anew…….. The last week of my vacation was epic to say the least. It was exciting because of split second decisions and surprises that came along the way. I stayed in Calgary for three nights, instead of one like I had planned. Sarah and Sam were great host, whom made me want to stick around in Canada a few more days. A festival known as the Stampede was taking place and it was the one hundredth year anniversary. Thanks to our host, we were able to reap the benefits and avoid the crowds. The Stampede brings cowboys and girls from all around to Calgary for ten days of drunken, redneck fun. 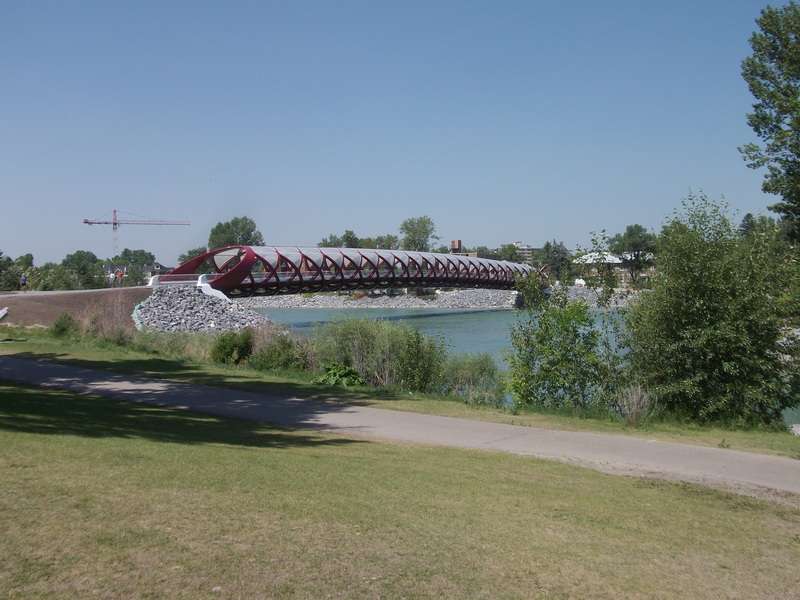 New pedestrian bridge built in Calgary, Alberta, Canada. 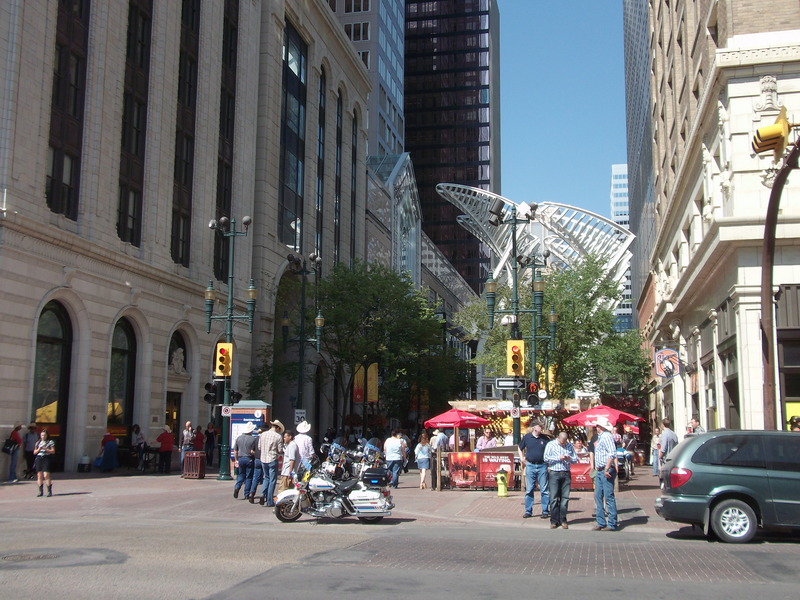 Now Calgary is a big city, so there is a lot to check out to avoid the chaos. I got a nice tour of the city with a free breakfast included. 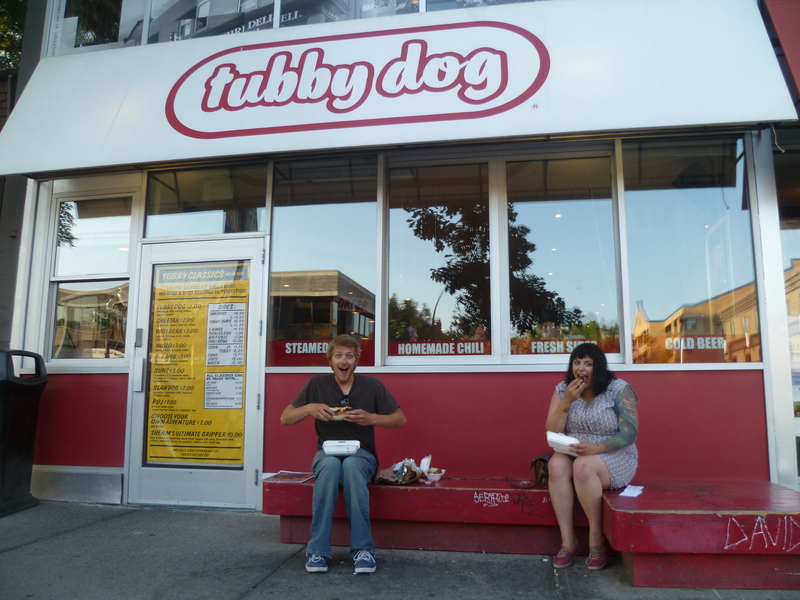 I was introduced to a favorite candy shop called Freak Lunch Box and famous hot dog stand, Tubby Dog. Both unique and tasty, I guarantee it. Lazy Ace and the crew hitting the road. The day I was planning on leaving, I stayed another day. Lazy Ace (one of many persona I had uncovered on my trip) was convinced to drive his crew (Sarah, Tanja, and Sam) to Drumheller. Canola fields stretched along the road for miles as we trekked to the dinosaur museum for our field trip. I was told I could not leave Canada without trying Tim Hortons. I was introduced to “Timkins”, wonderful mini doughnuts that are actually called “Timbits” (I was confused). Another requirement of leaving the country was to watch the movie Fubar. Thank you Sarah and Sam for the wise decision to stay in your fine country for one more exciting day. I left Calgary and headed South to the border. I took a scenic drive through Waterton Lakes National Park, crossing the border into Glacier National Park, Montana. 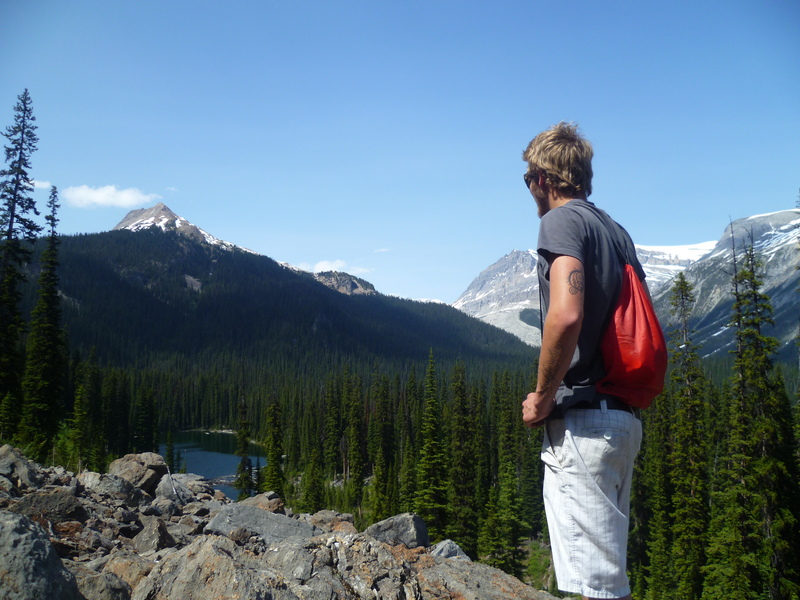 Along the way, I picked up two backpackers, hitch hiking from Montreal to the Rockies. Somehow I was able to fit them, their big backpacks, and their dog in the car. My trunk was pretty much full and I had a bicycle in the backseat, so you can understand my amazement. 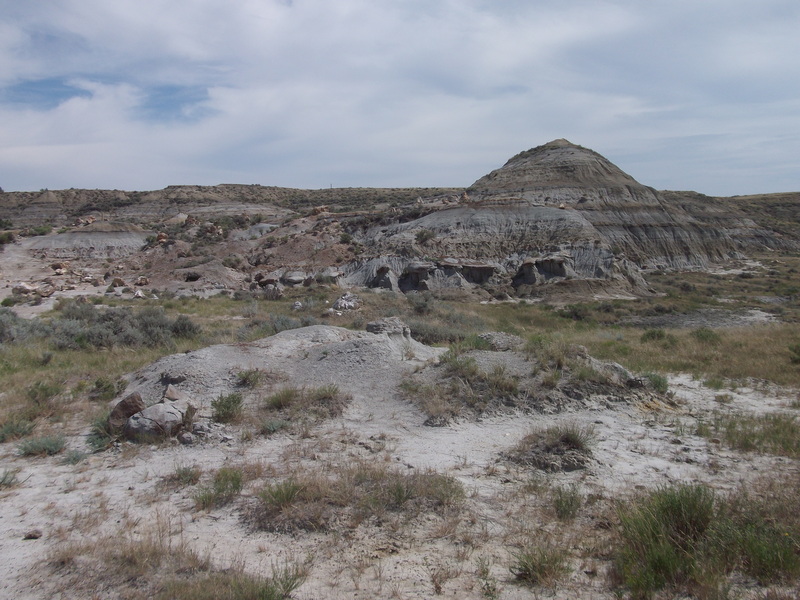 I drove them about thirty miles (fifty km) and they continued West, while I headed South. About ten minutes down the road, I see a sign for a free hot dog bbq. A business was having a grand opening celebration. I cautiously entered the building and was welcomed to a free lunch. My hot dog was awesome and saved me a few bucks on food for the day. I grabbed chips and a water as well to make it a meal. 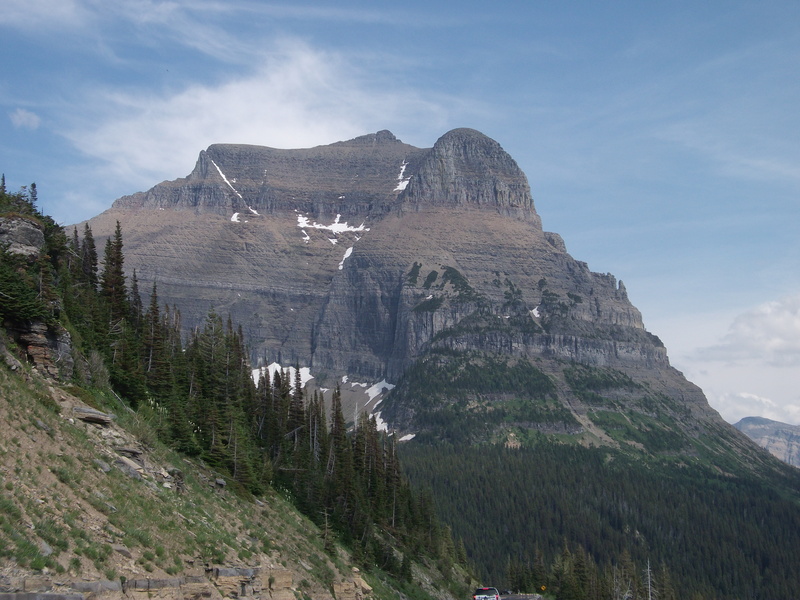 After entering the United States, I went to the visitor center of Glacier. 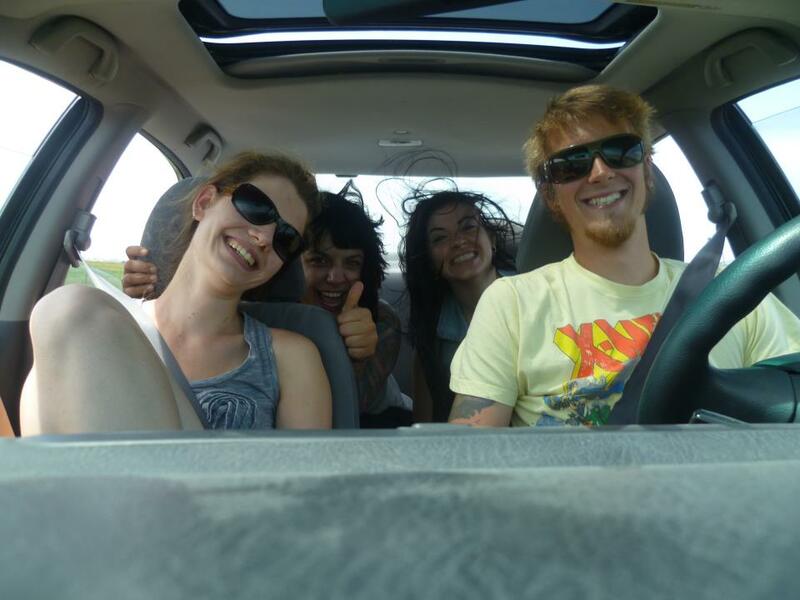 A brother and his sister were backpacking and needed a ride to their car (about twenty five miles), so I helped them out. I offer help wherever I can because so many people have done the same for me. 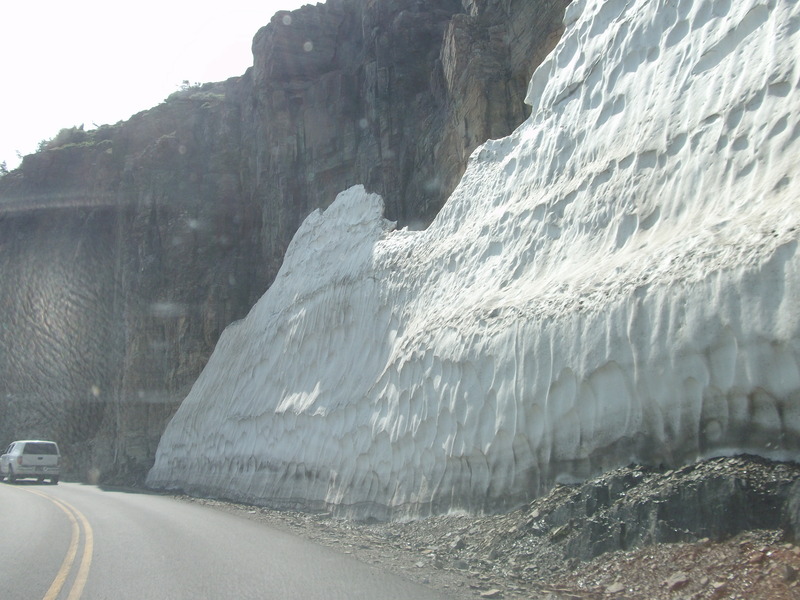 Going to the sun road is a popular drive through Glacier and I can see why. The views are astounding and the road runs you along all the magnificent mountains that tower above. 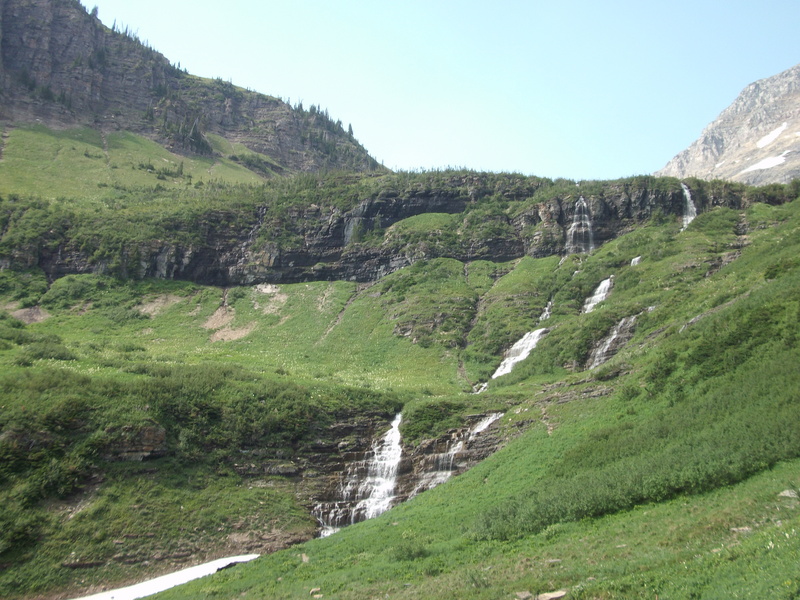 The snow melts away to form waterfalls and exposes the forest covering the mountains surrounding. I drove East for hours and hours, until I finally reached Dickinson, North Dakota. My host and his roommate took me out to play a game of disc golf. David and Doug took me to a new course they had never tried. A map would have helped because the layout made absolutely no sense. The wind was howling and after losing two discs, we decided to call it a day. 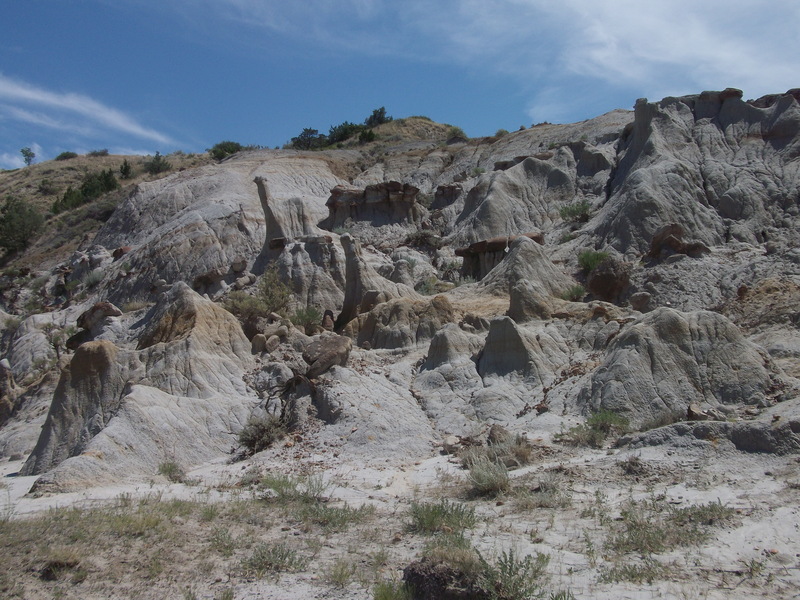 The following morning we took a hike in Theodore Roosevelt National Park. We originally planned on three miles (five km), but it turned into ten (sixteen). It was ninety five degrees (thirty five Celsius), but at least we had a nice breeze and the occasional cloud. 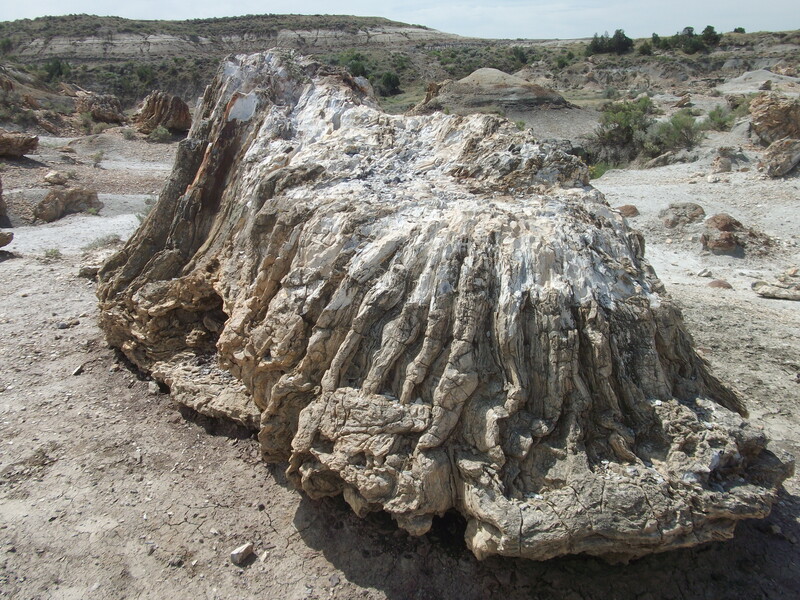 The terrain started within the badlands, where a petrified forest still remained. 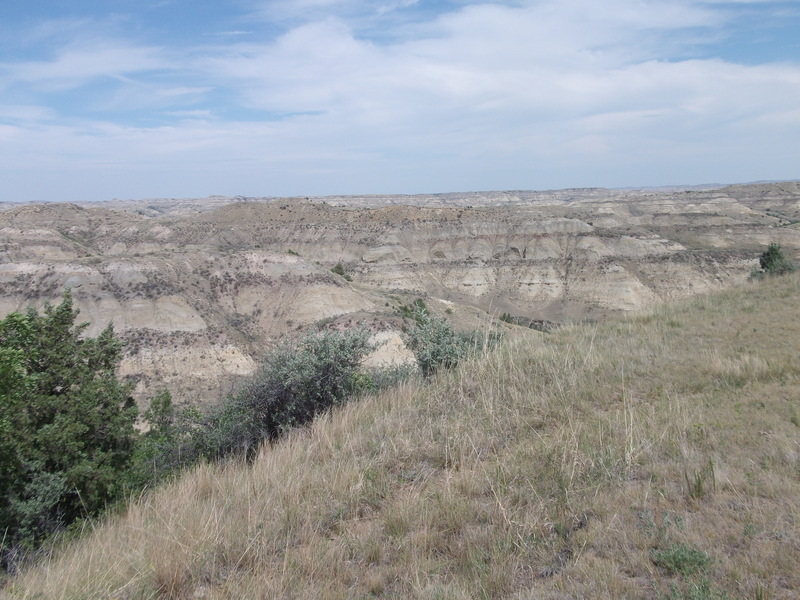 We came up and around through a wide open grassland, circling back around. The hike left us dehydrated and exhausted, so we took a relaxing ride through the park in air conditioning. I left Dickinson with the thought of having my final stop in Albertson, Minnesota, but an unexpected surprise caused me to abruptly stop in Fargo, North Dakota. I was driving along happily as usual and out of nowhere my car started violently shaking. I luckily had an exit to pull off on, after driving at least a hundred miles of nothing. I stepped out of the car to discover two out of four lug bolts busted off the front, passenger side tire of my car. I jacked up the car, tightened the two remaining bolts, and drove to the nearest auto shop. Six hours and three hundred dollars later, I was off to my final host. I feel I am still on top with this one because the price of losing a tire at eighty mph (one hundred and thirty kph) would have been a lot more damaging. My buddy Jeff welcomed me with open arms and a rack of ribs to make me feel better. I had a relaxing evening with a friend and rested up to complete the nine hundred miles driven from Dickinson to home. 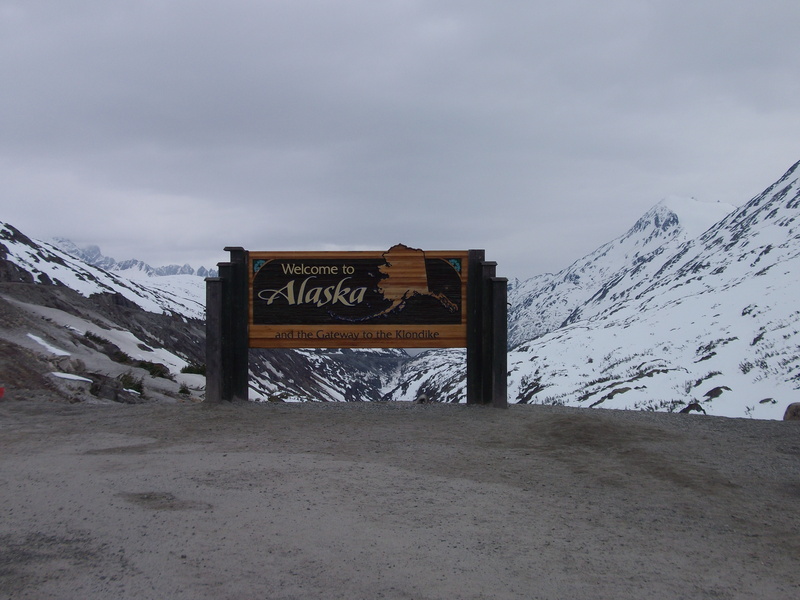 When I first entered Alaska, May 23rd, 2012, in route to Skagway. I have slowly been melting back into the “norm” the last few days. I keep reflecting on my trip and how much it has changed me. Overall, I am encouraged to continue traveling and meet new people along the way. This is something that everyone should experience, whether you hop a plain to another country or hop a bus to the next state over. 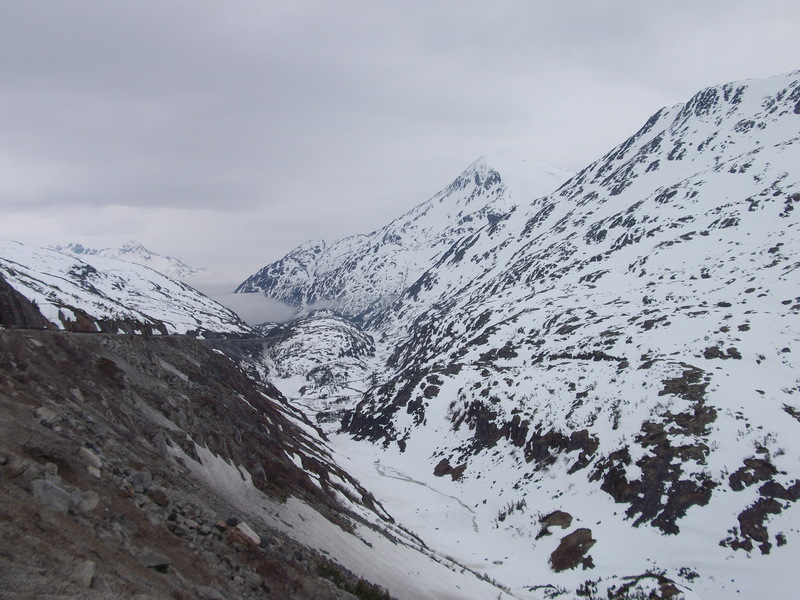 On the way to Skagway, located on the Alaska Panhandle. I will continue posting travel tips on this site and blogging about my future travels. Thank you to everyone for supporting my travels and this site. It has meant a lot and helped me continue sharing my story. Til next time, take care and peace.